A couple of weeks ago, I wrote about the NBA free agency and trying to sort out all the mayhem that happened over a week stretch. We thought that we had a decent picture of what every team was going to look like, as there was only one real question left: where will Kevin Love be traded? Well, after weeks of speculation, we now know that Love will be headed to the Cleveland Cavaliers. In return, the Minnesota Timberwolves will be receiving Andrew Wiggins, Anthony Bennett, and a first round pick in the 2015 NBA Draft. Although the trade can’t be finalized for another 16 days because it hasn’t been 30 days since Wiggins signed his rookie contract, the news has already broken that this trade will take place on August 23rd, the first day Wiggins can be traded. For a while, now, we knew that Love was going to be traded. The Warriors seemed to be the early favorite, but their unwillingness to trade Klay Thompson halted all those trade talks. Then, the Chicago Bulls emerged as the favorites, but lack of offensive weapons to trade in return hurt the Bulls chances. It was only after LeBron James decided to return home to Cleveland that suddenly the Cavaliers became an interesting landing spot for Love. 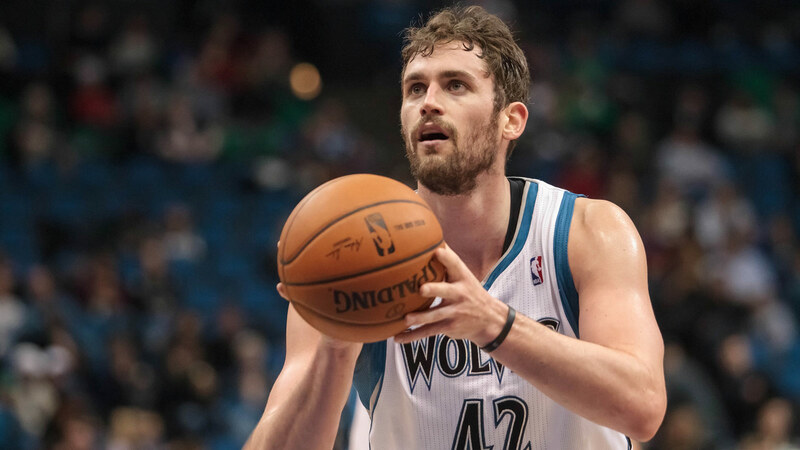 After initially not offering Wiggins as apart of the trade, the Cavs finally caved in and agreed to throw in this year’s number one overall pick to entice Minnesota enough to deal their star. Now that the trade is all but official, it leaves both teams in interesting spots. First, let’s look at the Timberwolves. This trade will help them out in the future, as they not only get the last two number one overall picks, but they get a draft pick next year, which will most likely be a late round pick. Throughout the draft process this past year, Wiggins was looked at as the guy with the most potential of the group, which is why he was taken number one. While he’ll need to take his time is adjusting to the pro style, the sky is the limit for him, as he can play both sides of the ball really well. Also, picking up Bennett was a nice move. Although it wasn’t a spectacular season for the kid from UNLV, he has been improving all summer and should be a nice piece on a young roster that features Ricky Rubio, Nikola Pekovic, and Zach LaVine, a shooting guard who they took out of UCLA. While the Wolves are looking towards the future, the Cavaliers made a clear statement that they want to win this year by adding Love to the mix. The potential starting five of Kyrie Irving, Dion Waters, LeBron James, Kevin Love, and Anderson Varejao looks incredible on paper, as this team has now become the big favorites in the Eastern Conference. Love’s great scoring and rebounding ability is a huge plus to this team. Couple that with LeBron and Irving’s skill sets, and this is looking like to be the big three of the future. With Irving already locked in to a max contract and both James and Love saying they’re going to re-sign after the 2015 season, there’s no saying how good this team will be. The only concern on my part, however, is their bench. Tristan Thompson is a nice and up and coming player, but after that, who do you trust? Mike Miller and James Jones still have some game in them, but they’re on the tail ends of their careers. Do you really trust guys like Brendan Haywood, Matt Dellavedova, and rookie Joe Harris? While their starting five will win them a lot of games in the regular season, it’ll be interesting to see come postseason time if those guy’s bodies will hold up for an entire postseason run. Remember, Irving and Love have never played a playoff game before, so they’re not use to the wear and tear a long series can go. Now, do I still think they’re going to be the top seed heading into the playoffs? Yes. The talent is too good for them to not lose more then 20 games in the regular season. A 62-20 record is very attainable with the level of stardom on this team. Only two teams will really be able to contend with them in the East I feel like, and that’s the Chicago Bulls and Washington Wizards. The Bulls have the most depth in the Eastern Conference, as they have nine players who will play key roles this year. It all comes down to the health of Derrick Rose, though, if the Bulls want to have any success this year. The Wizards are an intriguing team, as they have a very young backcourt with John Wall and Bradley Beal. Couple that with big men Marcin Gortat and Nene as well as the addition of veteran Paul Pierce, and this team could easily be battling the Cavaliers in the Eastern Conference Finals this upcoming season. Only time will tell to see who can emerge from the Eastern Conference. One thing is for certain, though: it appears that the road to the 2015 NBA Finals will be going through Cleveland this year.